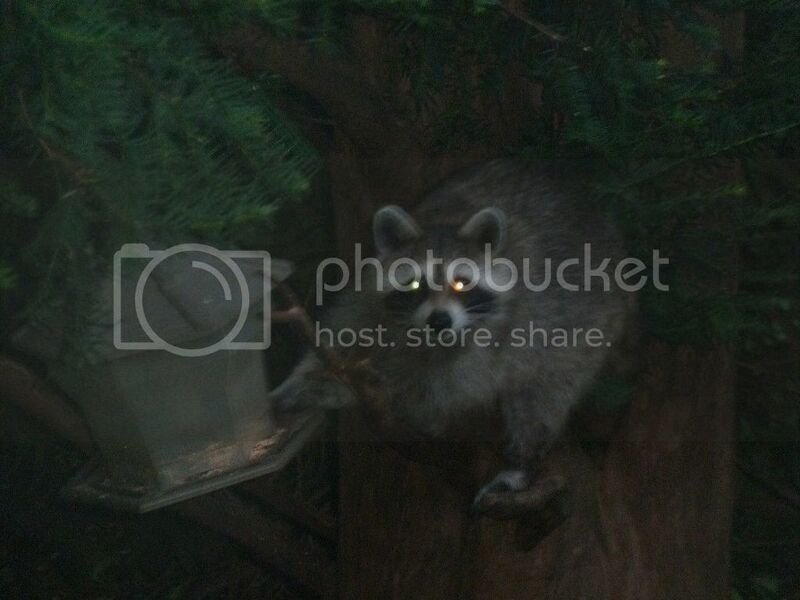 Now I knew the squirrels and chipmunks dined regularly at the bird feeder - heck, they're waiting on the patio every morning for me to refill the feeder, but tonight I caught this litlte guy (gal?) helping itself to the feed. THIS is probably the critter that keeps trashing the garbage cans but it's so cute I can't throw rocks at it. Flashlights scare it off anyway.